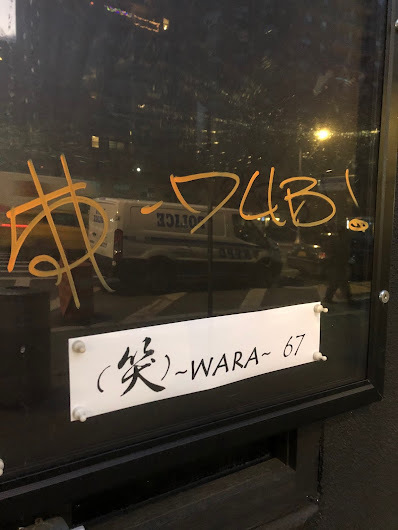 As noted earlier last month, Wara, a Japanese izakaya restaurant and dinner theater, is coming soon to 67 First Ave. at Fourth Street. 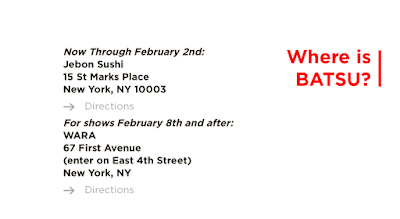 Wayne Yip, who owns Jebon Sushi at 15 St. Mark's Place and Clay Pot at 58 St. Mark's Place, is behind this venture. Wara will include a Batsu theater, in which a comedy troupe takes part in slapstick challenges "to avoid electric shocks, paintballs, a giant egg-smashing chicken, and many more hilarious and jaw-dropping punishments!" Jebon currently hosts the shows. According to the Batsu website, tickets purchased for dates after Feb. 8 will be at Wara. The Korean cafe Space Mabi closed here without any notice to patrons in November after a year in business. 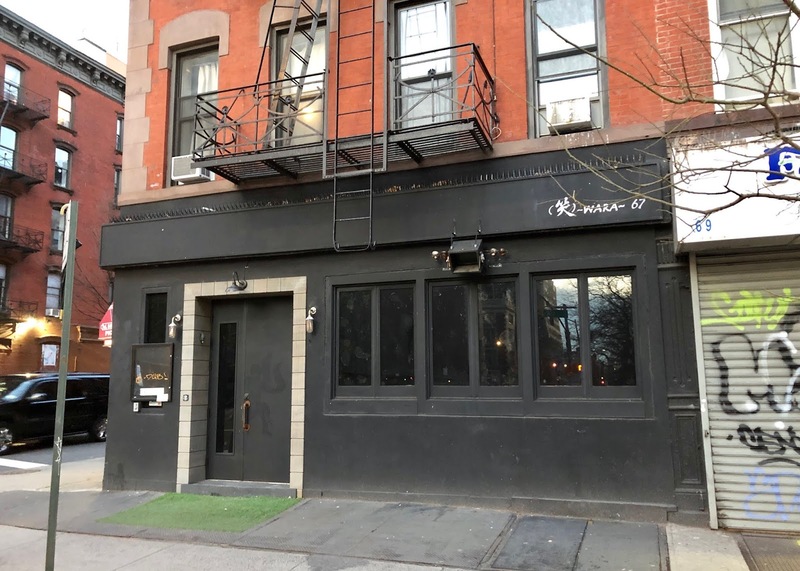 It is a damn shame that these businesses choose Icon Realty as their landlord. I will not spend any money which will eventually go into Icon's greedy pockets but, as witnessed around the neighborhood, Icon will screw them and they will be closed and in a lawsuit within a year anyway. None of those challenges sound hilarious to me, they sound distracting and unnecessary. I'll pass, thanks.